Randolph College officially began its 2017 Summer Research Program Monday, starting with a luncheon in Cheatham Dining Hall for the student and faculty participants. 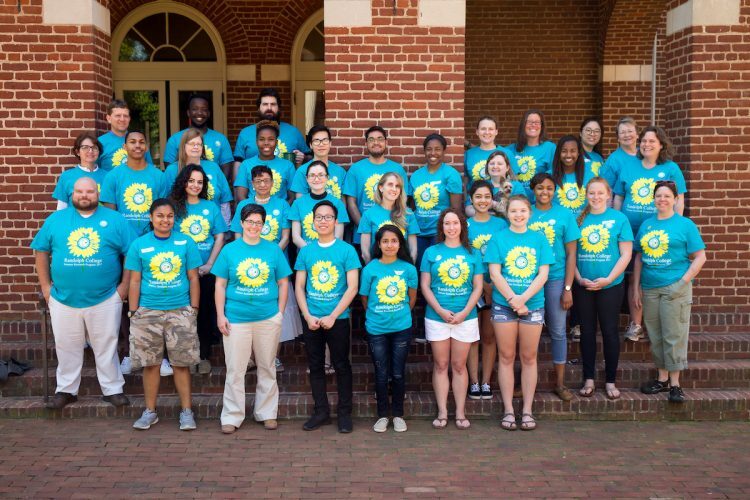 Each summer, students have the opportunity to spend eight weeks working closely with a professor and conducting research in their favorite subject areas. The intensive program builds valuable skills that are critical in graduate school or in employment. Students conduct laboratory tests, field studies, literature analysis, computer programming, and other research-related work. They are paid a stipend for participating. The program includes a series of seminars with guest speakers, and it concludes with a symposium during which students will present the results of their summer work. Read more about each project as the summer progresses at www.randolphcollege.edu/news.